With a range of professional packages available, I.C. Enterprises can take all the guesswork and stress out of creating your online presence. Let’s face it, your business needs to have a website to be effective these days and there are a lot of different options out there to choose from. We are a small business too, offering individual service to our clients that you just don’t get from the bigger design studios out there. An effective website is not all about the bells and whistles, but rather about having an easy to use place for your visitors to find out what you can do for them. Basic plans are designed for small business enterprises that do not require constant changes to the information on their websites. Basic plans can be upgraded as your business grows. With a relatively small investment your small business can have a custom designed website with service/product description and your contact details. Our most popular plan is set-up to enable you to just add your content. The site can be up and running in 2 – 3 weeks subject to supplied information being received. Using a Content Management System with a custom designed theme, your site will not only look good but also be optimised for search engines and ready to expand as your business grows. With a professionally designed theme and combination website and blog system, your site will stand out from others and can be packed full of information that helps your customers. We can also set-up an e-commerce website to help you sell your products online, set up advanced SEO options within the system and create multiple contact/order forms. This means there are potential clients who are looking for what you have, but cannot find you! A website for your business gives customers a point of contact that is there 24/7 and allows them to research your products and services, see specials, get information and contact you at any time, rather than just when your business is open. With more people than ever before using the internet, you can use your website to create confidence and credibility. Let people know what your policies are, what guarantees and warranties you provide and use customer testimonials to show how good your products or services are. With the internet you are no longer limited to your own location. 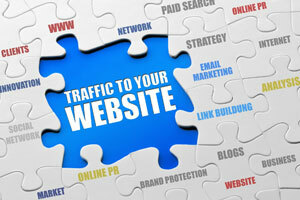 Having a website opens up possibilities for people in more locations to see your business. At I.C. Enterprises we offer affordable plans that will get you online without breaking the budget. With our range of plans you can have your business online quickly. Easy payment plans are available to help you get up and running and all our packages are upgradeable for the future allowing your website to expand as your business does. Don’t put it off any longer, take charge now and put your ideas in front of prospective customers. Contact I.C. Enterprises today to find out how to get yourself on the internet affordably and easily. 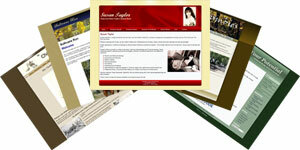 I found Ian to extremely helpful and professional when designing and setting up my website. He has been able to make a website exactly how I wanted it to look. I have had no problems with my site at any stage and find it very easy to navigate my way around using word press. Thank you Ian for your hard work and help.